You can use a multimeter to find out if your battery has enough charge. With the headlights on, at 80°F, there should be a voltage drop of at least 11.8 volts (25% charged), and ideally 12.5 volts, between the positive and negative terminals. You can also use a hydrometer to see if the specific gravity of the liquid inside the battery is between 1.265 and 1.299. This guide tells you how to use a digital multimeter (or voltmeter) or a hydrometer to do some simple tests to find out the condition of your battery. It'll also show you how to remove, clean, and reinstall your battery. If you are having trouble starting your car, or trouble keeping your battery charged, your problem may be in the starting or charging system, but it is often in the battery itself. A worn-out battery, corroded terminals, acid buildup, and battery case damage are among the main culprits behind starting problems and charging system problems. Here are two methods you can use to learn the state of your battery using simple diagnostic tools. The first method is to use a digital multimeter to quickly check if your battery has enough charge to start your car. This is the best way on so-called maintenance-free batteries, which don't have removable caps. Some maintenance-free batteries come with a charge indicator, a display on the battery top that tells you if the battery is fully charged (green dot), in need of a charge (no color visible), or faulty (yellow dot). The second method uses a hydrometer. Unlike the digital multimeter, the hydrometer can reveal not only the state of charge of your battery, but also its overall health. You'll know if your battery has failed. But you can only use this tool on batteries with removable caps. You can buy an inexpensive hydrometer at most auto parts stores or online. You can use your digital multimeter to find out in a minute whether your car battery has enough juice to get your car going. First, set your voltmeter to 20 DC volts. See the video below. Touch the negative (black) battery terminal with the negative (black) meter probe. 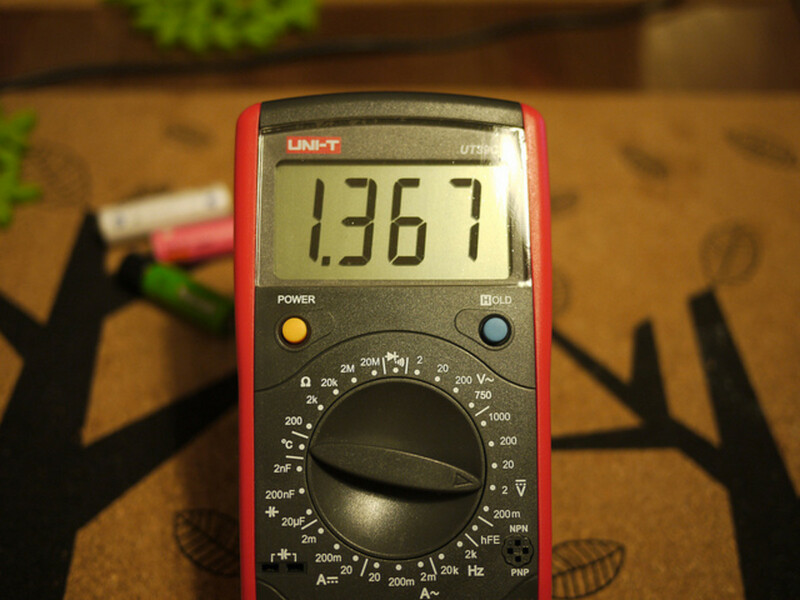 Touch the positive (red) battery terminal with the positive (red) meter probe. Ask an assistant to turn on the headlights to provide the battery with a light load. A reading of about 12.5 volts or higher means your battery has a good charge. A reading of about 12.3 volts means your battery is about 75% charged. A reading of 11.8 volts or lower means your battery is 25% or less charged. If you got a low reading, slow charge your battery to improve the chemical reaction of the battery and repeat the test. If your reading doesn't go higher, replace the battery. This test is also called an electrolyte gravity test. It will tell you whether your battery is fully charged, undercharged, or even faulty. For best results, use a hydrometer with a built-in thermometer. Some hydrometers are self-adjusting; other hydrometers come with a conversion table to adjust your reading when performing the test at different ambient temperatures. When doing this test, wear acid-resistant gloves and goggles. When measuring electrolyte temperature, never use a metal thermometer. The thermometer could react with the sulfuric acid and even cause an explosion. Remove the caps from the top of the battery. Submerge the tip of the hydrometer into the first cell of the battery and squeeze the hydrometer bulb. Release the bulb to allow electrolyte to enter the hydrometer needle. Read the electrolyte specific gravity as indicated in the instructions on the tool's package. Make a note of your reading and perform the same test on the rest of the cells. Compare your results to those of your tool manufacturer's instructions. Basically, if your readings fall between 1.265 and 1.299, your battery is charged. When your readings fall below 1.265, your battery is undercharged. In most cases, a slow or trickle charge will help restore the charge and improve the chemical reaction in the battery. However, a difference of 25 to 50 points or more (a point equals 0.001), between any of your readings indicates that the battery is sulfated and you need to replace it. Dirty, corroded, or loose battery terminals will lead to hard-to-start or no-start issues, and are one of the main reasons people think they have a "dead battery." Sometimes these types of problems are hard to spot with a simple visual inspection. Here, you'll use a voltmeter (or a multimeter set to voltage) to check your battery terminals for voltage drop, so that you can understand the state of your battery connections. First, disable the ignition system. Do this by temporarily disconnecting the ignition coil or removing the fuel pump fuse or relay (check your car owner's manual or your vehicle repair manual to locate the coil or fuse, if necessary). This will prevent your engine from starting. With your meter's red probe, touch the positive battery post. Now, touch your meter's black probe to the cable terminal connecting to the same battery post. 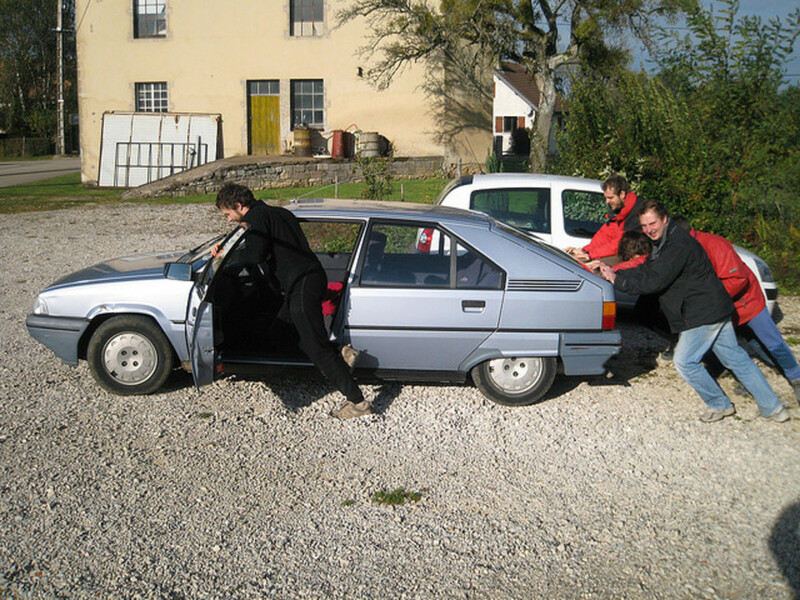 Ask an assistant to crank the engine. If your meter registers over 0.5 volts you need to clean or check the physical condition of the battery post and terminals. Now, test the other battery terminal. This time, though, with your meter's black probe, touch the negative battery post. Now, touch your meter's red probe to the cable terminal connecting to the same battery post. 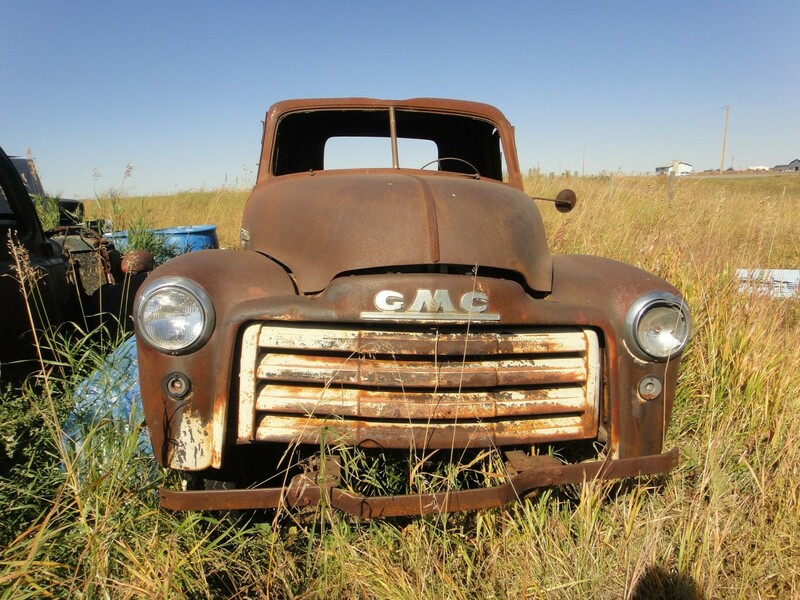 Ask your assistant to crank the engine and check the voltage reading on your meter. If it is more than 0.5 volts, you need to check your battery terminal for damage, or clean it. 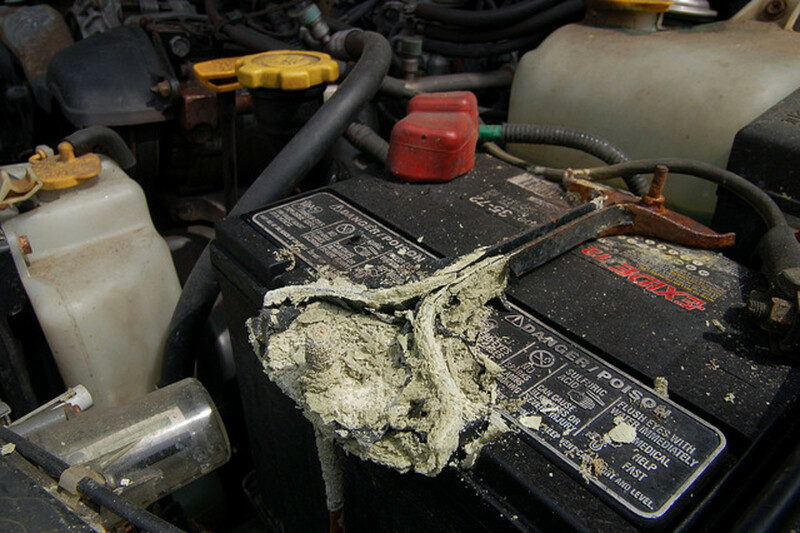 A buildup of deposits on the battery cover is a common cause of what seems to be a "dead" battery. As dirt and acid mix and accumulate across the top and terminals, the charge slowly begins to leak. To check whether your battery has reached the leaking point, use a multimeter. 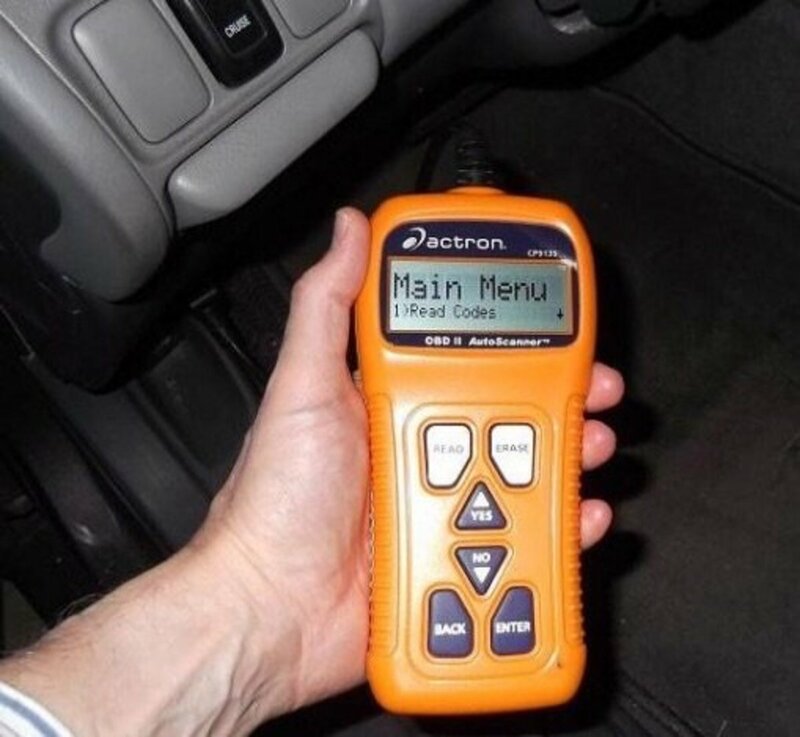 Set your voltmeter to a low setting on the voltage scale. Then touch the battery negative terminal (-) with the black probe from your meter, and touch the dirty battery cover with the red probe. If your meter registers even a small amount of voltage, buildup has begun to leak battery power. 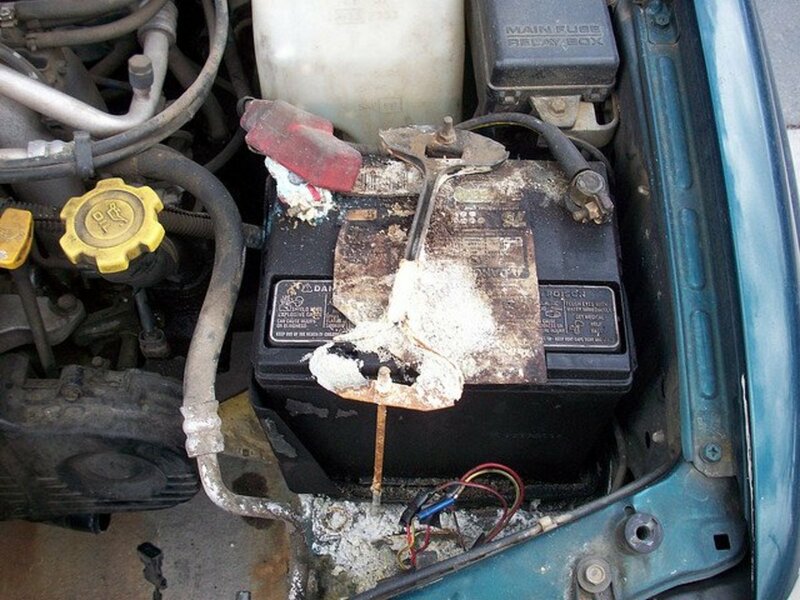 Head to the section below on "How to Clean a Car Battery" to remove the leak. If you get zero volts reading from your meter but you still suspect that some electrical device is draining power from your battery—a "parasitic draw"—check this other article, Car Battery Drain, to locate the circuit and the device discharging your battery. Now it's time to check the physical condition of your battery case. A damaged battery case can not only prevent the battery from working properly, but will eventually kill it. 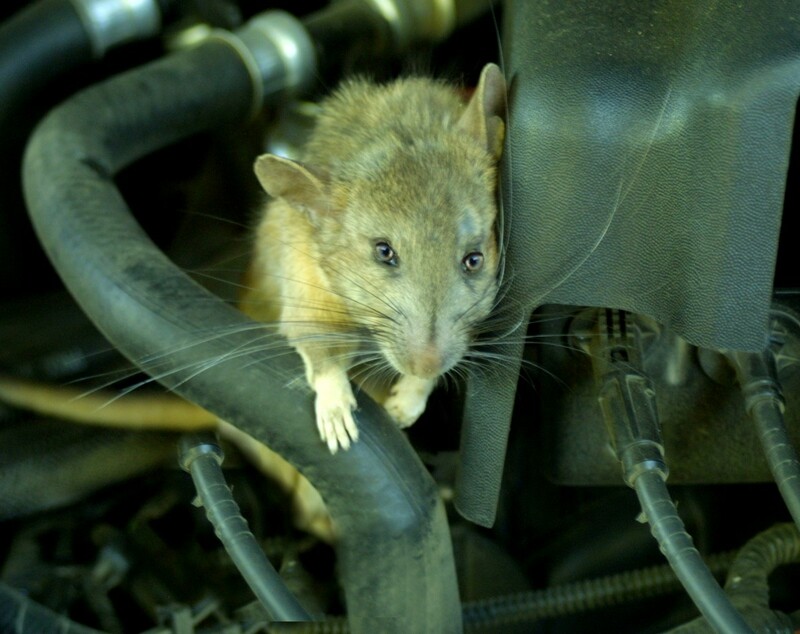 To check the battery, you'll need to remove it from your vehicle. First, disconnect the battery cables starting with the ground terminal and then the positive terminal. Now, unscrew the hold-down mechanism to remove the battery from the tray. Make sure the hold-down mechanism works. If there's missing hardware, replace it. This hardware prevents the battery from bouncing and getting damaged when the vehicle is moving. Place the battery on a workbench or similar surface. Carefully examine the battery case for potential damage. Check for a bulging side or cover, cracks around the case, or damaged terminal posts. 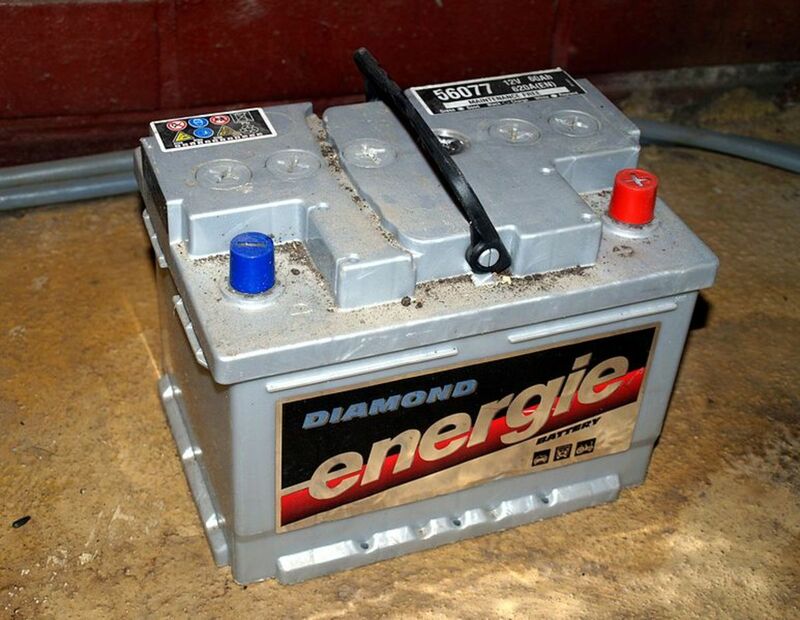 If your battery is damaged in any way, replace it. Overcharging and internal short circuits will cause a battery to swell as the acid turns to gas. So if you find signs of bulging, check the charging system as well. Now, check the battery cables. Check for frayed, cracked, or worn insulation around the cables and the condition of the cable threads. Replace them as necessary. You can use a simple procedure to clean the battery case. For this, you'll need to prepare a mixture of 8 ounces of warm water and one tablespoon of baking soda. This will neutralize acid and help lift up dirt off the battery case and terminals. Put on your goggles and rubber gloves and, using a soft brush, apply the solution across the battery top and around the sides of the case. If your battery uses cell caps (maintenance type batteries), don't let the mixture seep under the caps and mix with the electrolyte inside. Wipe the solution using a clean rag. Continue applying the cleaning solution until you see no signs of buildup. Just as you did with the battery case, remove dirt and corrosion off the battery terminals using the baking soda and water solution. To make your task easier, pour the mixture into a foam cup or similar disposable cup and dip the battery terminal in it for one or two minutes. Then use a battery-post cleaning tool to finish removing the corrosion from the terminals. Repeat the procedure until you see both terminals free of corrosion. Inspect the condition of the battery tray. Make sure it has no missing screws, no cracks or missing pieces, and no signs of corrosion. If necessary, use the same solution to remove dirt and corrosion from the tray. After cleaning the battery case, terminals and tray, reinstall the battery. Carefully place the battery on its tray. Secure the battery to the tray using the hold-down mechanism. Connect the battery terminals. This time start with the positive terminal and connect the negative or ground terminal last. After connecting the terminals, spread a thin layer of petroleum jelly around the top of the terminals and posts. This inhibits corrosion buildup around the terminals. If your tests showed your battery to be in good health, you may have a problem with the starting or charging system. This other article on Troubleshooting Car Starter Problems shows you how to do some quick tests without using tools. Once you know how to check your car battery for problems, you'll service the battery faster next time around. And servicing your battery regularly goes a long way. You can make sure your battery provides all the necessary power to the starting system, ignition system and other important electrical circuits as necessary, especially during the cold months. Even more, with a little maintenance you'll help prolong the service life of your battery and stretch your car maintenance budget. If my battery fails to start the car after running the flashers with the car off for a short time, does that mean that the battery is about dead? A battery usually has a service life of about 4 to 5 years. If yours is that old, probably one or more cells are bad. Take the battery to a local auto parts store, most will check your battery for free. When I test the batteries on my 5th Wheel Trailer, what do I need to do to put a load on the battery while testing it? Why does my car turn on really fast when cold, but really slowly when hot. Is this phenomenon in my car related to the battery or starter motor or something else? Make sure the cables and wires are clean (no corrosion) and tight. When you add heat to the circuit, it's like resistance and will interfere with the current. My battery drains but no battery light comes on. What could be the cause? I want to thank everyone for their contributions here, which I have been using, along with other sources, to try to solve my long-running battery problems. An enormous amount of helpful (but sometimes complicated) information is available for solving battery problems. But I now realise - having finally solved my problem - that whenever anyone finds they need to recharge a relatively young battery after the vehicle has been idle for a week or two, there is a single test that (in my opinion) should be performed first. I did it last (by definition, I suppose). Here is what you do: Take your car key and open the passenger side door. Then open the glove compartment and immediately check to determine the temperature of the glove compartment light bulb. If, immediately after opening the glove compartment door, the bulb is hot, then the chances are 99% that that is your problem. It was my problem. Given my sparse level of auto electrical knowledge, it took me almost two years to figure it out! I had previously checked whether I could see the bulb turn off before the door closed - but couldn't tell - and that seems to be the case for most of the vehicles I am familiar with: the light goes out only after the glove box is very nearly completely closed. But it hadn't previously occurred to me to check the temperature of the bulb. Of course most of the time this will not be the issue you have. But ruling it out a the problem is so quick and easy it might as well be done first. The vehicle with this problem is a 2001 Dodge 3500 truck. My solution is to remove the bulb, since I rarely need the light. Presumably, any vehicle with the same glove compartment light switch setup is likely to have a similar susceptibility. Clearly, it would be better if glove compartment light switches were designed and positioned to shut off well before the door is fully closed so that, if the driver is alert, he will be warned that the switch is faulty. That is: if he does not actually see the light go off by the time the door is half closed, then it is indicating there is a problem. Hope this will help someone else! Again, thanks guys, and gals. Usually you want to remove any charge above 12.6V (surface charge). A fully charged battery reads at 12.6V. Not removing the surface charge can give you a misleading reading. "4. Ask an assistant to turn on the headlights to provide the battery with a light load." This is bad advice. This is the only article that says to turn on the headlights. Unnecessary as it provides innacurate readings. My battery is at 12.7v but with headlights goes down to 12.3v.